When looking for an affordable web design company, a few options pop into my head. The first option is to use your cousin's friend's nephew that is a self-taught web maestro with superhuman powers. The second option is to find an experienced one man (or woman) shop that work in the middle of the night massaging code to bend to their will instead of sleeping. And the third option is to hire a reputable company that manages and executes successful websites that turn results for your business objectives. Honestly, it's a tough choice! 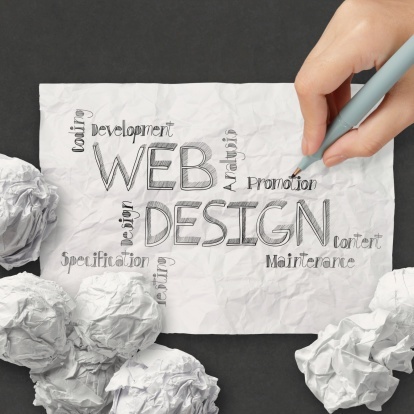 If you are not immersed daily in the website design world, determining which company has the experience and skill needed to create and optimize an efficient and enticing website can be a daunting task. For this reason, we created a quick and easy checklist to prepare you for the deep wide web. Think about what you want and what you are willing to spend. Without guidelines, you'll start looking for a web designer without knowing what kind of web design you want or can afford. No doubt, that is exactly what you're doing right now. A great way to narrow your search is to seek out referrals and check their portfolio and online reviews. Since you will be the one starting the conversation, here are some excellent questions to ask your web designer. The less you're involved, the less control you will have. Once you have a vision for your website it’s important that you articulate it to your website designer. As magical as web people are, they can’t read minds. Don’t rely on verbal agreements. You want to make sure that you not only find a competent team but also that you get what you think you're paying for. Make sure your website is yours! It is imperative that you have the rights to your website's design and all the files that created it, i.e. photos, videos, and other content. Make sure this aspect is explained clearly in the contract.